When people find out that I’ve managed to become fluent in Spanish in 6 weeks, they usually don’t believe me. Some people take years to learn a language, some live in a place where the language is widely spoken and never learn to even properly construct a sentence. But I did it, and I believe so can you. I’m definitely not a genius. My way of learning any language I speak isn’t particularly innovative either. I believe anyone can learn a language (with the same alphabet as their native language) quite fast, by using my method. I had never studied Spanish before. My parents made me learn German in my primary school and I chose French later on, so pretty much the only Spanish phrases I knew were: “Hola, como estas?” and “Gracias”. 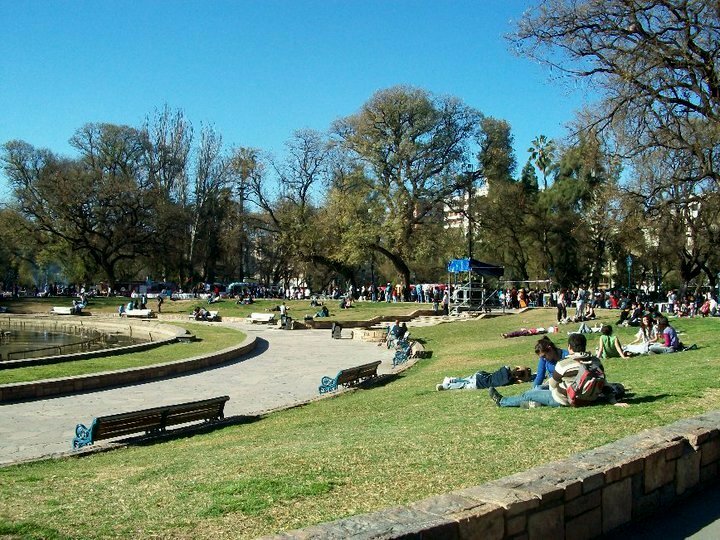 After graduating from my university, I got an internship in Mendoza, Argentina. The internship I got was supposed to be at an English speaking wine magazine, but once I arrived it turned out that I was supposed to speak Spanish. Oops. Mendoza is quite a touristy place, where travelers come to see wineries, do whitewater rafting and hike in the mountains. Hostel owners and tour guides obviously speak English. But since I got there for work, I was living with a host family and hang out in local areas where apart from tourists noone spoke ANY English. My host family didn’t even know simple English words. I was terrified. Every time I wanted to ask them for anything I had to go to my room, compose the sentence with a dictionary, and come back to recite what I had learned. I had to come up with a backup plan. The company agreed to send me to a Spanish course at the local language school for 3 weeks, and come back to work for them afterward. There were a lot of people in Mendoza, but no one to talk to in English. Because the Spanish course was only 3 weeks, I had to make the most of it. Luckily for me, there were no other beginners, so my classes had to be individual ones. However, even with a private tutor, nothing is guaranteed. If I waited for my teacher to tell me what to do, I’d have finished the course knowing basic grammar and not much vocabulary. Before I even started the course, I equipped myself with some Spanish coursebooks. I’ve learned basics myself, not to waste time in class. Because if I can learn some things myself, why would I pay for someone else to tell me the same thing? For Spanish, French, Arabic, and Italian, I used ‘Language in 3 Months’ books by PONS, however, I realized that they aren’t available in English (just German and Polish). Therefore, I’d recommend Living Language book series. Every day after my class I was researching and studying all necessary vocabulary and grammar, so I could discuss it with the teacher the next day. I created sections of: Useful words (‘because’, ‘but’, ‘then’, ‘why’, .etc), food, animals, household, and words that I’d need, wrote down all words I could find, and studied each chapter every day. Based on the book my teacher has chosen for me, I studied grammar sections at home as well. This way, in class, I was able to ask my teacher what was unclear from the grammar section and practice words I’ve learned at home, instead of waiting for her to show me everything that was written in the book. 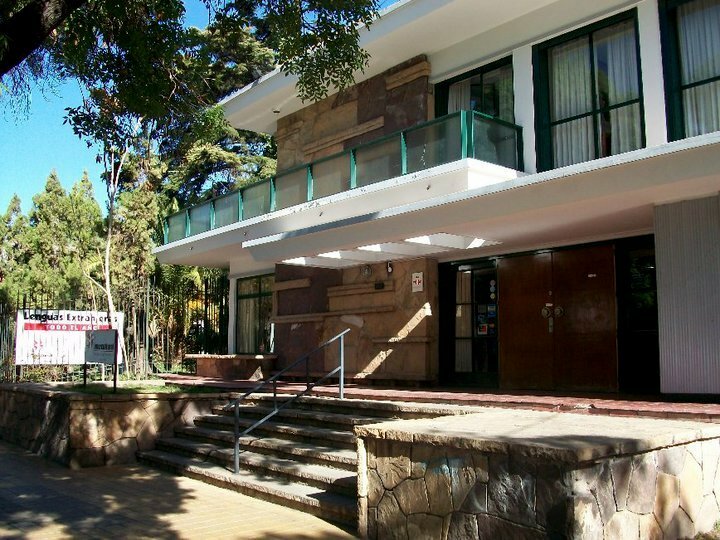 Every afternoon I read some bilingual books from the local library and watched tons of Argentinian TV. There are a lot of brilliant books that are written in a way you can understand, with an English translation on another page. Here are some examples: Spanish Short Stories 1, Spanish Short Stories 2, but believe me – there are plenty of other dual-language books. After only 3 weeks, I had to actually start working and using my Spanish skills. It wasn’t easy and I struggled a lot, especially because I had to interview a lot of native Spanish speakers, but it was manageable. I simply practiced what I’ve learned. Whether I liked it or not, I was also forced to use my Spanish everywhere I went in Mendoza. I’ll never forget when I went to the pharmacy to get some bandages but I didn’t know the word, so I had to pantomime it. I must have looked no better than Bridget Jones at the Austrian ski resort, but what could I do? I had to go shopping, I had to organize things for myself, and I had to interact with the local community. I finished my internship after 7 weeks and flew to Mexico. Upon arrival, I could freely speak to my Mexican friends in Spanish. We were all surprised how quickly I learned Spanish, but it just goes to show that a lot of work and having a good system pays off. 2 years later: debating on a Mexican TV program. 1. Throw Yourself into a Place Where No One Speaks Your Language. Going somewhere where you won’t be able to communicate with anyone isn’t easy. In the beginning, you’ll end up being frustrated most of the time. You must consciously lock yourself outside your comfort zone and not allow yourself to step back inside it for a while. But after all, you’ll thank yourself for this decision. You don’t have to be in a place where country where it’s a native language. Not learning a language because of the reason that you can’t visit a place where it’s spoken is an excuse. Breathing the air of Argentina wouldn’t make me learn Spanish and many foreigners living abroad never learn a local language. Technology makes everything possible these days. Stream some movies, download podcasts, books, do anything to have contact with the language. There’s even a plugin for Chrome that can translate some parts of a text that you’d normally read in English. Yes, seriously. Many languages have words that share a common (Greek/Latin or other) root. They can be spelled slightly differently, but that you’d have to try hard not to recognize. I’ve studied Latin in college with a very strict teacher, and as useless as it seemed, it’s been the best thing I’ve ever done. Thanks to Latin, understanding its grammar structure and origin of many words, learning any foreign language is now easier. I’ll totally introduce my kids to Latin early on. Fluency and accuracy are two different things. When I lived in Italy, I became fluent in Italian, but far from being accurate. Speaking from experience, it’s better to be fluent at first and apply accuracy later. I might not have been always accurate in Italian, but at least I can speak. While in German, I’m VERY accurate when it comes to usage of grammar and vocabulary, but I would never say that I’m fluent because my vocabulary is quite limited. Most people are usually afraid of looking stupid and don’t even try to speak the foreign language until they’re sure of their skills. That’s the biggest mistake you can make. Talk, make mistakes, and ask people to correct you. But learn words first, before you master your grammar. Embrace your mistakes. For a very long time, I kept saying ‘mis cumpleaños’ instead of ‘mi cumpleaños’ what made my friends laugh at me that I have more than one birthday. Remember that many native English speakers can’t even speak or spell in English properly, so you learning another language is an achievement already. Group classes might be fun, but they won’t teach you as much as individual classes. Also, take advantage of the fact that the teacher is there for you. Ask questions about things you’re unsure of. It doesn’t necessarily mean always paying for an expensive course. These days, there are plenty of language exchanges online. You can learn through Skype. My favorite site for finding natives is italki.com, with prices starting from $5 per hour. As you can see in my Mexican dictionary, there are many differences between Spanish spoken in, for example, Mexico and Argentina. Most of the recordings in popular courses you’re listening to online aren’t real life situations. In reality, people speak much faster in their own vernacular and that’s where your native speaker can help. For language courses abroad I recommend either IH (International House Organization) or EF. I have a first-hand experience with both places and can vouch for them being legit. Remember, every new language is easier to learn. If your first language is English, learning a new language might be harder than if you were let’s say, French or German speaker. English basic grammar is less complex, so acquiring new rules might be challenging at first. Don’t give up! I think your tips apply to every other languages, not just Spanish. Nothing speeds things up like when you have no choice but to do it. Lewis, fin3m. Depends on your definition of “fluent ” i suppose. Your English writing still sounds very “foreign” and stilted sometimes, do you consider it on a level higher or lower than your Spanish? By fluent I mean being able to talk about everything, understanding anyone (considering different accents & slang) and not missing necessary vocabulary. I’d also add to talk with a normal speed, but many would argue against my opinion. There is a difference between fluency and a native mastery of a language. The average native Spanish speaker (Spaniards, Latinos) has more than 20,000 words in his/her active vocabulary. The average fluent (not native) Spanish speaker commands about 5,000 words, which make up a huge percentage of everyday Spanish conversation, allowing them to freely communicate in Spanish. So, when claiming fluency, Anna was simply referring to her ability to comfortably speak, listen, read, and write in Spanish. She wasn’t comparing herself to or belittling native Hispanophones. The part that reads, “some people take years to learn a language” was also clearly referring to people who take up Spanish as a foreign language. You took Anna’s words out of context and took offense at them for no reason. I just discovered your blog and it is amazing, full of great tips! If you don’t mind me asking how do you afford all the courses (MA, diplomas, etc.)? Education is quite expensive so I was just wondering. I did a MA abroad too but it costed me a lot of money and am still paying for it. I would like to study more but the cost of education is too high these days! Hi Elisa! Thanks a lot! Great Post! I spent a few weeks at Spanish school in Guatemala and learnt a lot. What I lacked however was the confidence to just speak in Spanish outside of my host family and the school, it’s pretty sad, because I’ve forgotten a lot of it, but part of me dreams about heading to South America, so I want to try and relearn it again. Watching Movies and listening to music in the language you are learning also helps, just because you get used to hearing the rhythm of the words. That is very impressive! Very very impressive! So if I want to learn in 6 weeks, what Country or City should I go to b immeresed if money is no object? Why Guatemala?, and where exactly? Last I was there, they were robbing people at night along the highways . Although that’s been 20 years. Guatemala because it’s the trendiest locale especially Antigua, you will see more foreigners/gringos than locals in the streets..
Great tips and a very interesting article, Anna! Thanks for sharing 🙂 How many languages do you speak nowadays? 1. Avoid your own language like the plague. 2. Constantly do a little work, every day. Much better than doing a huge amount once a week. 3. Read books, watch films, or listen to music in the foreign language – all three if possible. 4. Hang around only with the natives. No expats or any of that (see rule 1 above). Within a year you should be passably capable, in two years or maybe three quite fluent. WOW what a journey. I’m so glad you went to Argentina especially Mendoza! I started my Spanish Learning journey in Guatemala and made it all way down to Buenos Aires. I got so immersed in the culture(s) I have not been able to stop learning and Latin America become a part of my life. I’ve documented most of my experiences online. Which keeps me motivated. Congratulations for your blog,it’s an inspiration for me. And incredibly how fast you learnt spanish, something not easy to do for most of us. This has been extremely inspiring and helpful. It’s helping me chart a learning plan for myself so thank you! That is a lie.. sorry. Maybe small conversations, ordering lunch, talking about the weather. I’ve been living in mexico for six months, my parents and friends speak Spanish, I’ve done all the apps.. I watch hours upon hours of spanish TV and movies.. I speak in spanish all day everyday for a year now and I still am at a very basic level. Some people I don’t understand at all, especially thick accents in northeast mexico. It takes years and years to get the the point of actual fluency. I have a friend living in mexico for three years and his spanish is still not so great and he is always asking questions still. I’m sick of hearing about these people who claim to be fluent in a few weeks because it’s not possible at all. Each person is different. After 10 weeks of private lessons, it sounds very suspicious that you can only come up with a few lines. I suggest you change your teacher and also read books in Spanish in your free time. A ver tia, ?que tan bien lo hablas? Estoy aburrido y francamente me interesaria obtener algunos consejos sobre como aprender frances y aleman mas rapido. Por cierto como veo que eres muy aplicada, debo mencionarte que no he puesto ningun acento o nada por que no tengo teclado para hacerlo mas rapido… y como no me dan ganas de presionar la serie de numeros pues no lo hice. Por cierto el ingles lo aprendi a hablar completamente en 9 meses, no es por presumir. Creo que para ti aleman va a ser mas dificil que frances, porque frances es mas parecido a espanol. Te recomiendo empezar con los libros de self-learning para que entiendas la gramatica. Luego puedes empezar a ver las peliculas en frances y aleman, pero activa los subtitulos en estos idiomas para que puedes escuchar y leer en los mismo tiempo. Tambien hay muchas personas online interesadas en el ‘language exchange’ si quieres practicar. Btw how many languages do you speak? Thanks for your informative blogg! *Which languages you speak appart from english, spanish, polish and german? I want to learn arabic (and many other languages too later). *Can you advice me which arabic to learn? *Are you still living in México? Where in that case? I don’t live in Mexico anymore. I started learning Arabic, and I enjoyed it, but unfortunately, I didn’t have enough time to continue. All courses and books will focus on Modern Standard Arabic. Later on, you can focus on dialects, but it really depends where do you want to practice your Arabic. 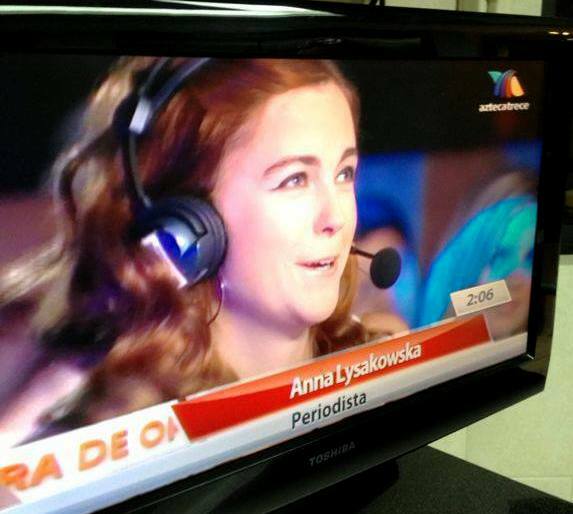 Gracias por comentar Anna, lo siento por ser presumido. Es que soy un puberto con un poco de envidia de solo poder hablar bien bien dos lenguas… Mientras hay gente que se cría aprendiendo tres y hay gente que sabe un montón como tú. Admiro mucho que hayas aprendido tantas lenguas, y pues, !ahí le voy! Un chavo de prepa que es casi trilingüe que además, está muy, muy cerca a aprender a hablar en Deutsch en presente. 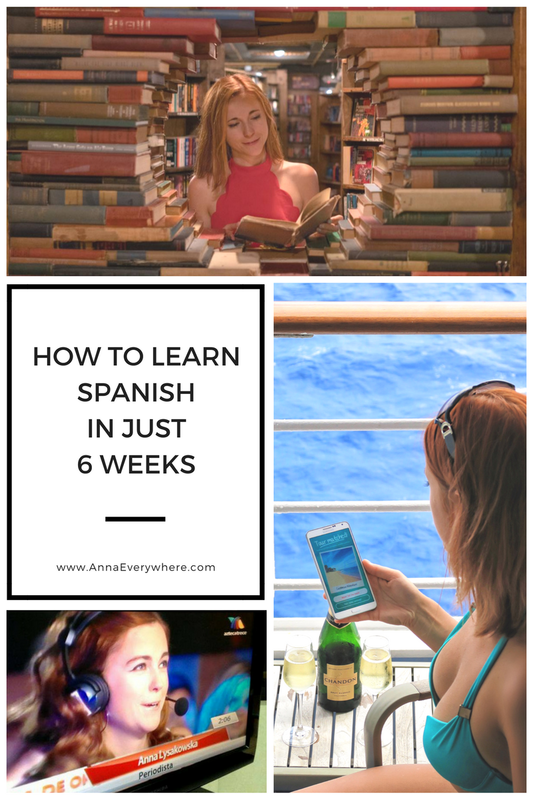 And if it takes you forever to become fluent in Spanish, like it did for me, then that s okay too! Everyone learns at a different pace and comparing yourself to others won t help at all. Anna, thank you for the inspirational story. I’m two years into my study of Spanish, and I’m just now getting the courage to speak with others. I know I will progress quickly now, not being afraid of mistakes, rather, trying to make myself understood. p.s. 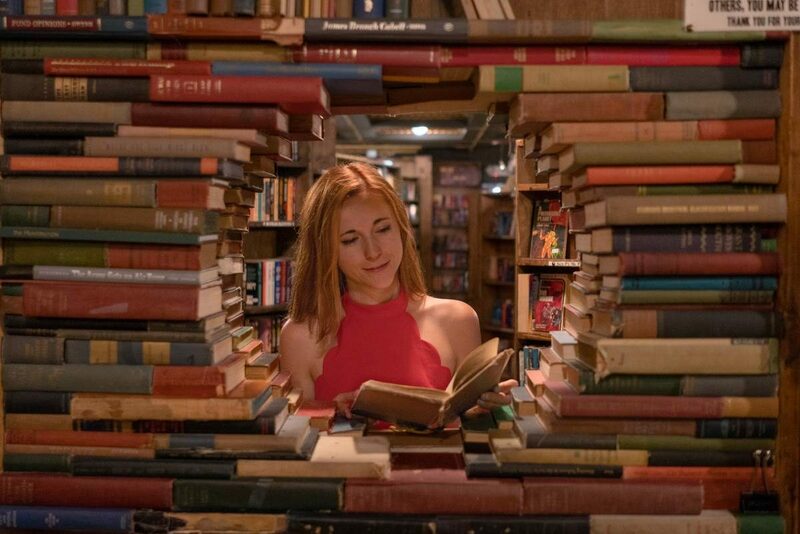 that is the coolest picture ever, you in the tunnel of books! Spanish is the official language of 21 countries. More than 400 million people speak Spanish language in the world. Spanish is the third most widely-spoken language, only after following Chinese and English. By 2050, there will be 530 million Spanish speakers, with 100 million speakers living in the United States. Hi, my name is Philip Rossen. 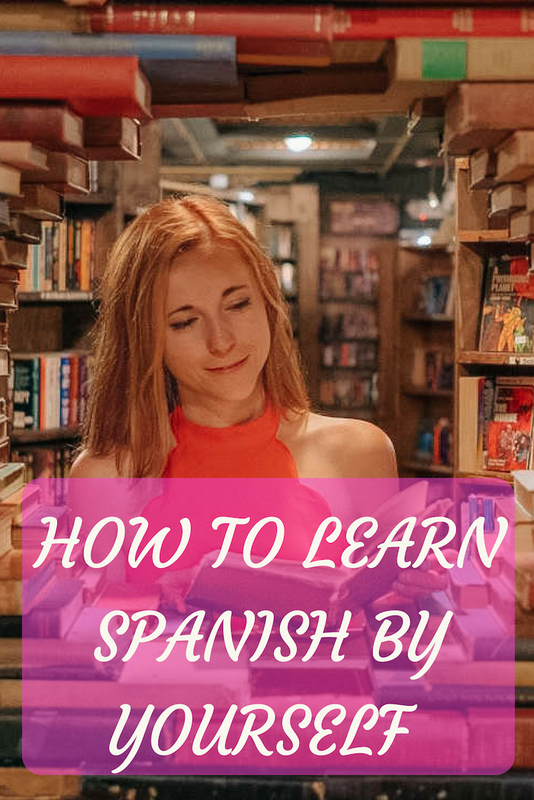 Your tips to learn Spanish are great. I have tried to learn the language for a few weeks. It takes a lot of time to learn the basic words and grammar. Good stuff Anna! Reading through the comments, I’m kind of surprised some of the people would post with such cynicism and disdain . Pero supongo que siempre hay odian por ahí.Sin embargo, su historia es inspiradora y aprecio los consejos!! This is a really interesting post and while I mostly agree with your techniques for learning a language (I did what I expect is about the same thing in about four weeks with Portuguese in Brasil), I don’t completely agree with your rationalization. Firstly, I don’t think I agree with your definition of “fluent.” Of course, you don’t actually define what it means to you, so that makes it more difficult to know if I actually agree with you or not. After four weeks of studying at a Portuguese school and living with Brasilians, I could communicate in the language and understood almost everything. However, I relate fluency more towards the end of being bilingual than being able to communicate, which in my case took another 9 months. Secondly, I think you highly underestimate the fact that you already knew other languages and you studied Latin. For example, when I learnt Portuguese I was already pretty good at Spanish (B2 level – again, I don’t know if I would call this fluent). In addition, I can communicate with about 60% accuracy with Italians having studied no Italian at all and can read a decent amount of French with no training. So, while I agree with your overall evaluation on how to learn a language quickly, I think that there are some things that might not fit to other people’s perception of your experience (and hence why they might not believe you as stated in the first paragraph and the comments).